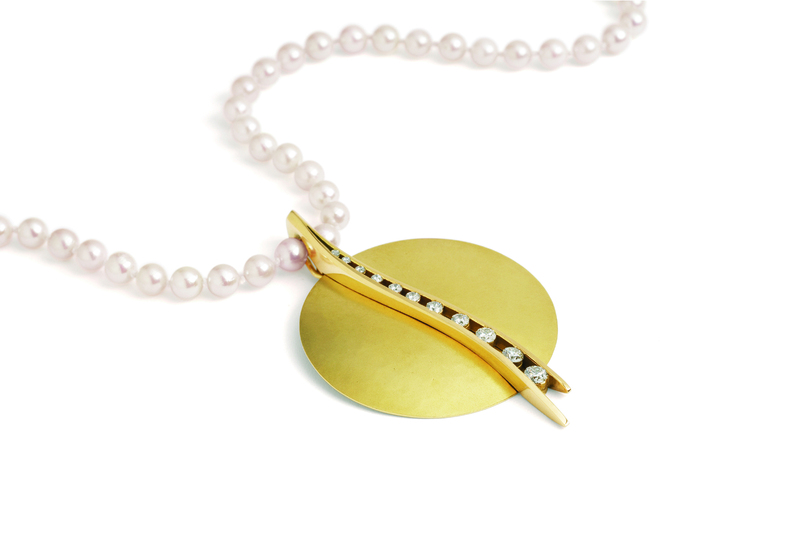 Inspired by the sun, the ‘Day’ Pendant in hammered soft matt 18ct yellow gold is set with a river of diamonds and suspended from a string of white, freshwater pearls. 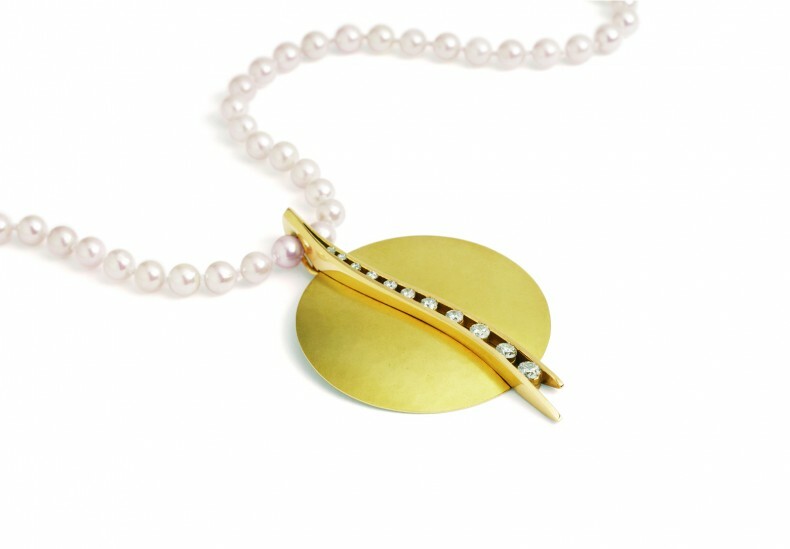 The pendant has a neat clip fitting, allowing it to be removed from the pearl row so that the pearls can be worn separately. 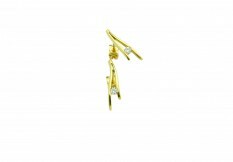 The pendant can also be worn using different style chains, a cable for instance. 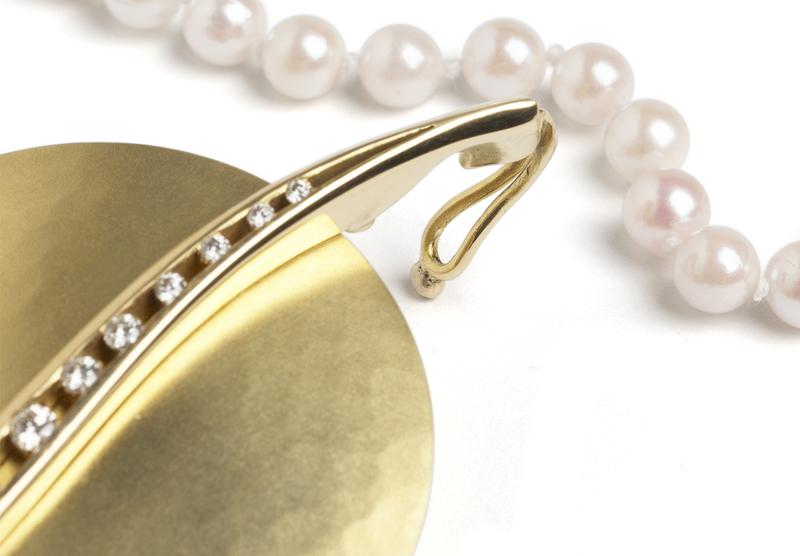 Shown here: 18ct yellow gold, diamonds (total weight 0.65ct) and freshwater pearls. 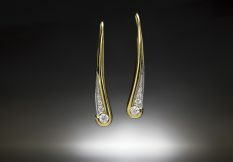 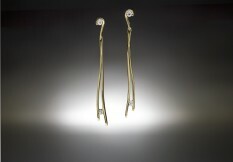 Available in: White, yellow or red gold, platinum or palladium and other coloured stones.